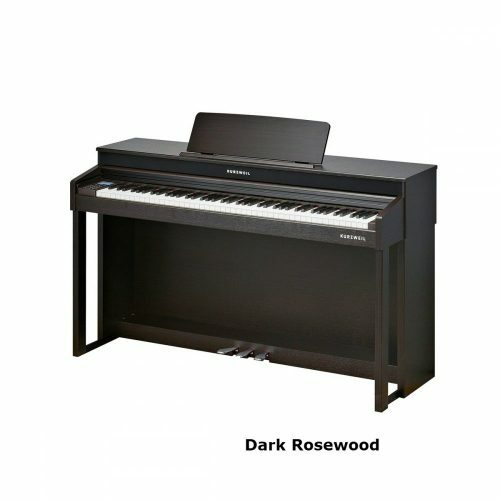 I’m looking for a cheap digital piano/ keyboard to get for my father who already has an acoustic piano, but he’d like to play his harpsichord music, and would like a keyboard that does a good harpsichord sound. The problem is that we don’t want to spend too much as he does already have a piano that is his main instrument, as well as space constraints. Would you have any ideas on this? 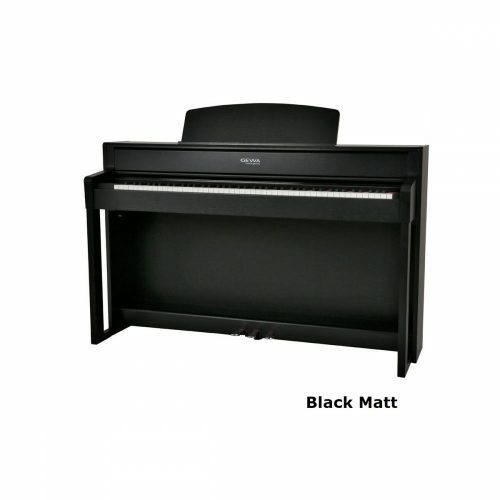 lots of digital pianos in the lower price bracket. the Broadway EZ-102. You can see this here. The EZ-102 is a lovely piano. We are narrowing down on some options. The Hadley D10 is price – quality top. Due to it’s Full weighted keys. Dynamic response of 3 steps. And its more than adequate boxes. Also nice design. The Broadway 102 for the same price would win cause (white colour) and he’s 4cm less deep, which is important to me. Some friends are coming over to London this week by car. Is the 2nd handed Hadley D10 something that would easily fit in a station wagon? That is a very old Yamaha. of this age. It is near the end of its life. a station wagon. The legs can be taken off if it doesn’t. welcome to take away either. We are open on Saturday between 9.30am and 4pm. I m pooling for a good starters digital piano for my son. I game cross the Dynatone slp 300. 3 headed old for 400 euro. The Dynatone SLP300 has light-weighted keys.So I don’t recommend this for your son to learn on. He needs something with fully-weighted keys. Also, most exam centres have real pianos. your son: Hadley D10 and Broadway EZ-102. the main criteria all piano teachers insist on. 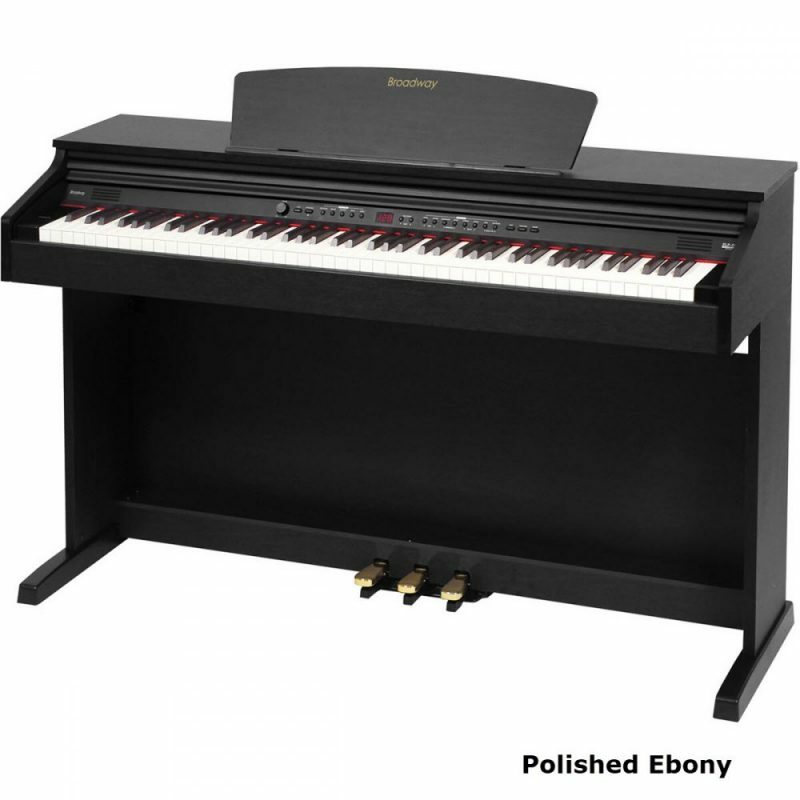 I bought my 9 year old daughter a digital ez102 Broadway piano in polished ebony from UKPianos recently. She first tried it out in the showroom and was allowed to practice on several models without any fuss or pressure before making a choice. 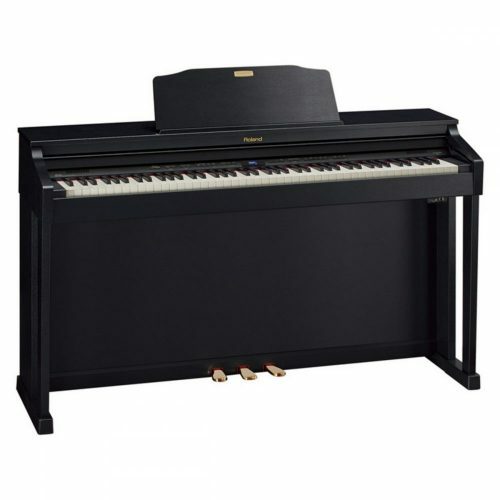 Graham’s piano rating really helped me to be sure of my decision and a few days later I collected it myself from the warehouse where the guys were very helpful. Since bringing it home we have found that the piano plays extremely well and are very happy with the purchase. All in all an excellent experience at a very competitive price! I looked at the guide to help me decide which digital piano to buy. I had seen the Broadway ez-102 and I wanted to see how it compared to others. 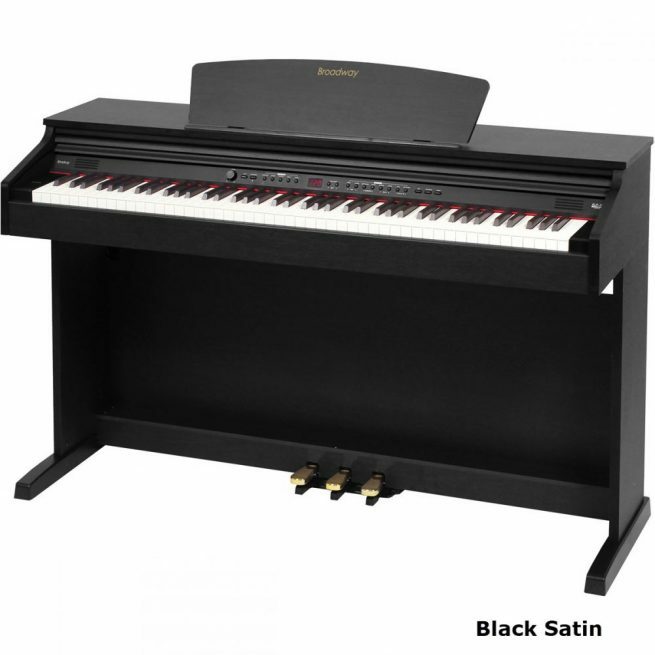 I knew it was a basic / starter model but wanted to see how it compared to pianos priced slightly higher as I didn’t want to spend more than £600. I am a primary school teacher and play the piano to Grade 4. I wanted a basic model that was better than a keyboard for practising songs for school and also for my two children to start to learn to play. The guide allowed me to choose the piano without having to go to various stores – the model I was looking at seemed to compare favourably with other similar priced models and so I bought one. I won’t know if I made the right decision until the piano arrives, but I am optimistic! 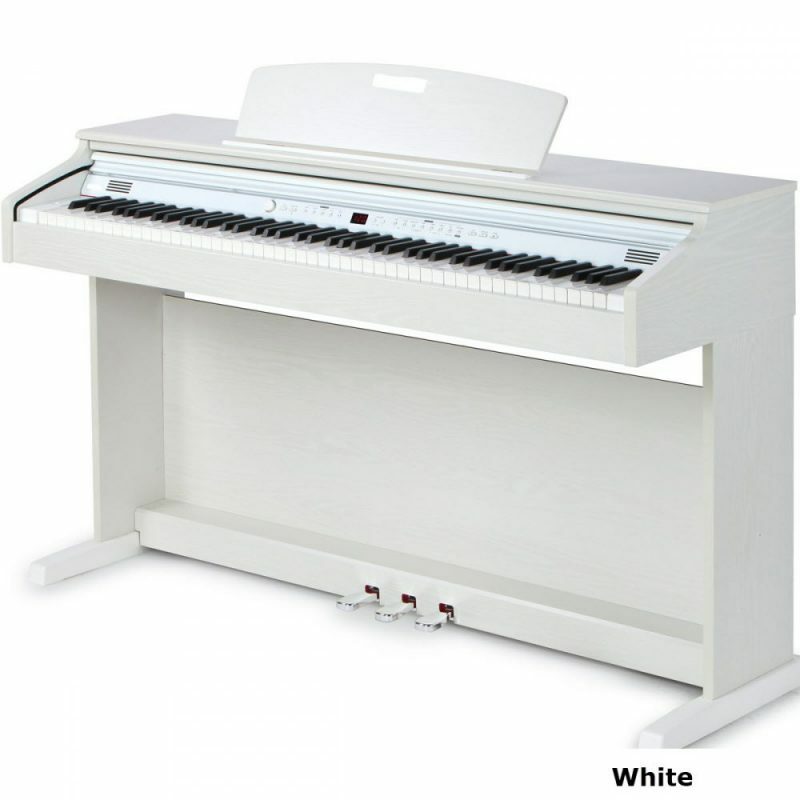 A great piano, sounds very good, plenty of features, the organ is particularly good, UKPiano’s are very helpful, the lady I spoke to was very polite and knew what she was talking about which makes a change nowadays . Would recommend this company. 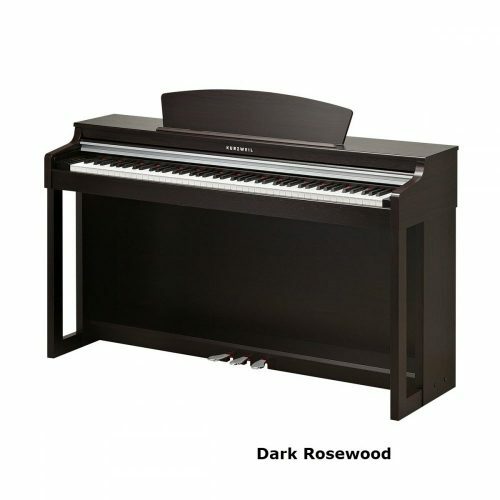 We bought a Broadway EZ102 and I can only be grateful to Graham Howard of UK Pianos for his help and encouragement in the very difficult task of choosing a digital piano – his “Howard Scale” was a master plan of points awarded to each model for comparison and price, something I doubt you would be presented with anywhere else. I am sure this scale and his many e-mails of help and encouragement towards obtaining the right piano for my granddaughter was invaluable and made a successful outcome inevitable. I TAKE GREAT PLEASURE IN AWARDING “UK PIANOS” (*****) 5 STARS and wish them every success for the future. Purchased a Broadway EZ102 piano, very good piano with excellent sound quality at a very good price. before Christmas after some significant problems on his delivery round. Would not hesitate to recommend to anyone else, and excellent service all round.